You spend hours carefully crafting the perfect content for your subscribers. You hit send, kick back with a cup of coffee, and wait for the responses to roll in. But then you spot something: your email has ended up in the dreaded spam folder. This is the most likely scenario: your subscribers didn’t give their OK to hear from you. This is the golden rule of email marketing – and there are many spam laws to protect people from unsolicited emails. To get permission, simply place an opt-in form on your website so visitors can sign up to your list. If you mislead subscribers with a seductive subject line that doesn’t match the email content, they’re more likely to report you for spam. So make sure the subject and content are aligned, to boost relevancy and engagement. Even if you think subscribers will love your emails, you still need an unsubscribe link so they can opt out. If you remove it, you risk spam complaints or even a fine. Here’s a full list of spam words and phrases. 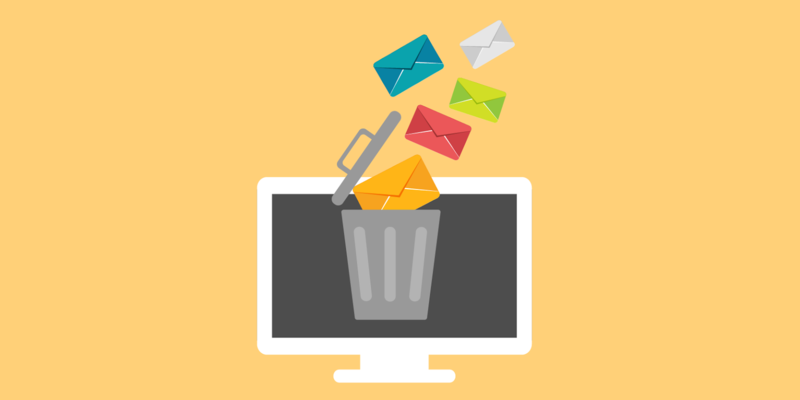 List hygiene is key to keeping good email deliverability. If you regularly send to inactive email addresses, spam filters will penalize your domain and ISP. And that means your future emails are more likely to end up in the spam folder. Every three to six months, it’s a good idea to remove any addresses that haven’t engaged with your emails. That’s it! Now you know the top 5 reasons why emails end up as spam. We hope these tips and insights help you get better deliverability in the future.